Did you know that the average GPA of those who are billionaires is 2.9 NOT 4!? Get out of your comfort zone and become someone that you’ve always dreamt of! During a fireside chat at our infamous Iowa mastermind, James Whittaker joins us and answers our questions about publishing a book and what it was like to write, Think and Grow Rich The Legacy! 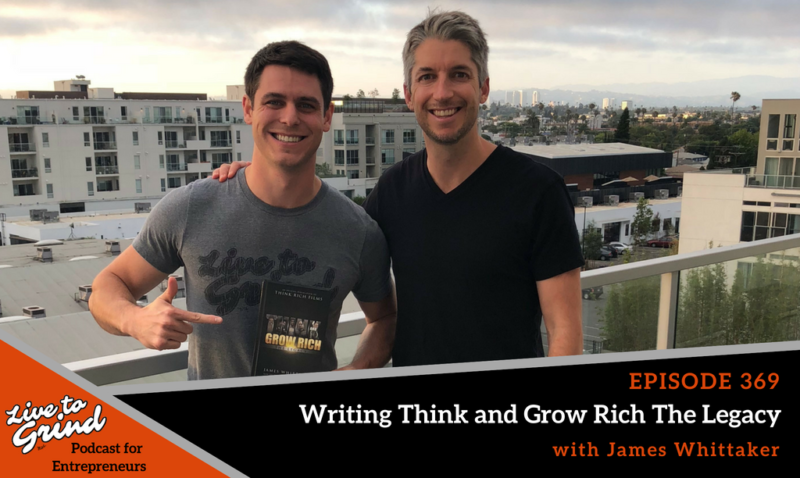 – James shares how he felt when he has presented the opportunity to write, Think and Grow Rich the Legacy. – While interviewing today’s most influential individuals, James talks about how he was able to share their stories in the most powerful way. – What is the process of writing a book? James shares his tips on the process was like to write each chapter after another. – Out of everyone that was interviewed for the book, what was the number one thing that stood out that made them successful? – James shares the importance of getting outside of your comfort zone! It’s the only way to be able to grow and create your own success.